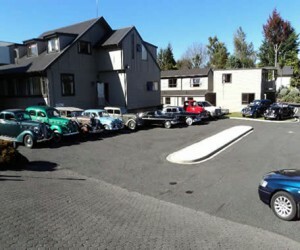 At Ruapehu Mountain Motel & Lodge we have a range of facilities on site to make your stay with us easy and enjoyable. Free Wi-Fi access is available from all our units. Zenbu Hotspot @ Ruapehu Mountain. Add your own email and make up a password to receive 500 mb/device/day. A voucher-less system that makes it quick and easy to log in. Hot spa pool available (winter ski season and summer by arrangement for group bookings). The booking sheet is situated at reception for you to book your own private 1/2 hr time slot. The perfect place to relax and ease the aches after a hard days skiing. Open 4.00pm – 9.00pm. Earlier on any closed mountain days. 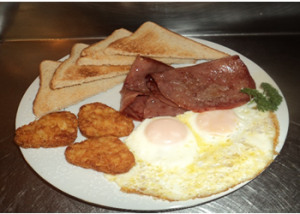 We offer both Cooked and Continental Breakfasts. Continental (Choice of cereal and fruit + toast) $12pp. Both served with Tea or Coffee. Please book your breakfast prior to 6.00pm the previous night. We serve breakfasts in our guest lounge. The Motel Units and Chalets have parking situated right outside the unit. Our large off street car park provides amble parking for the lodge rooms and any additional parking requirements. The Alpine Motels have an undercover carport which is great when the winter season snow, ice and rain conditions occur. Do you have a group that would like a communal area to cater, have a group activity and socialise? Then the lodge Kitchen, dining and lounge area would be perfect for you. There is sufficient space and facilities for up to around 30 people. Coupled with possible exclusive use of the lodge accommodation rooms you are ensured of a fulfilling unforgettable stay. We can organise your shuttle tickets for pick up and drop off for your outdoor activities, summer or winter. 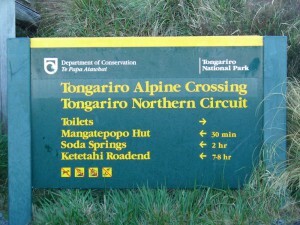 We can arrange for the shuttle to pick you up at our door for ski field transport in the winter and transportation for summer activities such as the Tongariro Alpine Crossing, Old Coach Road and Whanganui River canoe or kayak trips. We have washing and drying facilities situated on premises. Get you washing machine token from reception. $4/wash. Washing powder also available for $1/sachet. The dryer takes $2 coin for 20 minutes drying. We have 2 drying rooms both situated in our lodge. One upstairs and the other down stairs. Access is obtained via your own room key. Essential for those less than blue bird days on the snow. Gear is left in the rooms at your own risk. 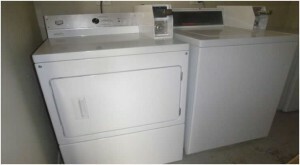 We service all room’s daily providing new towels etc. as required and rubbish collection. (Please see our Eco friendly information in your room folder). A free portacot and high-chair are available by arrangement. We do charge $5 for cot linen if required to cover laundry costs. 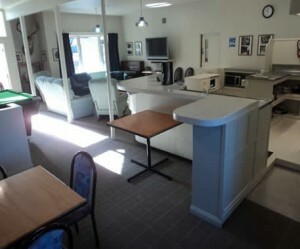 The Chalet, Studio and Alpine Motel units all have cosy underfloor heating – A unique feature to motel units in the Ruapehu region. The lodge rooms are heated with panel and eco heaters. All our units and communal indoor areas are non-smoking. We provide reciprocals outside the motel units and on the lodge decks for smokers convenience. We specialise in group catering – School, Work, Contractors or Social groups. We can, with prior arrangement, cater for groups both large and small: Breakfasts / Packed Lunch / set menu Dinners. Please contact us for your personalised Accommodation/Catering package. If requested we can also arrange your group’s local activities, tickets and transport requirements. All our Motel units, the Chalet and 2 Bedroom units are fully equipped with self-catering kitchen facilities. All the Lodge rooms have access to full communal kitchen facilities situated in the Lodge lounge area. Kevin & Leigh are “full dinkum” locals who have brought their families up in this outstanding region of natural beauty. We have walked the tracks, skied the mountain, and dinned and shopped locally. If you need help with any aspect of your visit please just ask us. Reception is open 365 days from 8.00am to 8.30pm. We allow pets to stay (only) in our specified Motel units by prior arrangement with reception. Pets are welcome at a Tariff of $20/night per pet. Our pet policy is: Pets are welcome inside the unit provided they bring their own beds & bowls. We do not allow pets to be left unattended inside the units, or allow them to be on the unit Furnishings. Any extra cleaning requirements will be recovered.